Overseas investors poured in more than Rs 3,300 crore in the country's stock market last week as the government continued with its reforms to boost economic growth and investor sentiment. The Securities and Exchange Board of India has permitted loss-making listed firms to raise funds by selling shares, making it easier for such firms to meet their capital needs. Previously, only profitable companies were allowed to sell shares via a follow-on offering. The country's largest corporate Reliance Industries Ltd, which is sitting on a cash pile of nearly Rs 73,000 crore, is on a debt raising spree again and has mopped up $1.5 billion through an overseas bond sale progamme over the weekend, two people with the direct knowledge of the development said. Air carriers may be flying through rough weathers, but their top executives have got handsome pay hikes, while the chief executive of crisis-ridden Kingfisher has emerged as the second-highest paid among all his peers at Vijay Mallya-led UB Group. In a move to check unauthorized stock market trades through investor accounts, regulator SEBI has asked exchanges to send SMS/email alerts to every retail investor for all transactions in their names in a day. Q: Can any member of a "Hindu undivided family" make a cash gift of Rs 10 lakh to another member? If yes, will the income deriving from the gift be assessed in the hands of the latter or the member who gifted the money? Adi Godrej, president of the Confederation of Indian Industry (CII) and chairman of the Godrej Group, says industry is convinced that the government is serious about economic reforms. In an interview with Sanjeev Sharma , Godrej discusses reviving the investment climate, overcoming political opposition to reforms, the need to fast track project clearances, reduction in interest rates, the recent Supreme Court judgement on allocation of natural resources and the problems in land acquisition. Traditionally we have been investing the major part of our savings either in bank fixed deposits or post office schemes. This clearly indicates our bias towards safety and security of the principal amount over returns and liquidity when it comes to investment. While investing, most of us do not care whether the accretion on such investments is taxable or not. Even individuals who are in the highest slab of 30 per cent tax rate also follow traditional investment patterns. 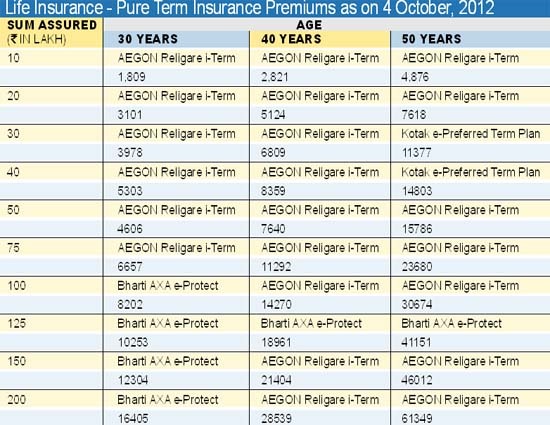 "How to use this data: The premiums above are for a 30 year old healthy non-smoker male for 30 years tenure, for a 40-year-old for 20 years tenure and for a 50-year-old male for 10 years tenure for various sum assured. Note: As per the age, tenure and sum assured the above mentioned plans are the cheapest in that category which can be purchased online only." 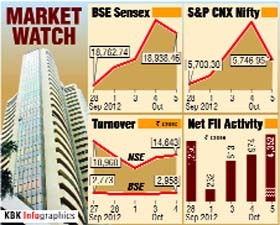 During October 1-5, foreign institutional investors were gross buyers of shares worth Rs 13,094 crore, while they sold equities amounting to Rs 9,714 crore translating into net inflow of Rs 3,381 crore (US $645 million), according to the data available with market regulator SEBI. 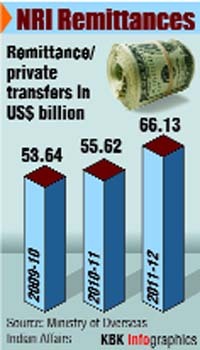 FII investment in the country's equity markets has reached Rs 85,711 crore ($16.50 bn) so far this year. Market experts believe that FIIs continued their bullish stance on the equity market as the government progressed with its reform initiatives to boost economic growth and investor sentiment. They also expect foreign investor inflows into the country to rise. "The cabinet approval for 49% FDI in insurance and pensions has further boosted overseas investors' sentiments last month have further pushed overseas investors to pour money in the equity market," CNI research head Kishor Ostwal said. 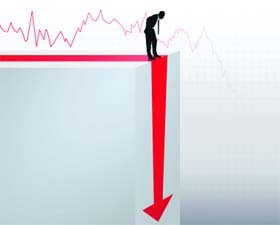 Trading in stock markets is likely to remain volatile this week in view of key events including industrial production data and trends in July-Sept quarter results with Infosys announcing its numbers on October 12, say analysts. 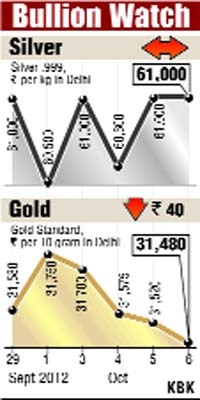 "IIP data on Friday shall impact the market trend. Also, July-September corporate results will start and will have stock as well as sector-specific impact," Bonanza Portfolio VP Rakesh Goyal said. The capital markets regulator also relaxed rules regarding the debt limit allocation mechanism for foreign institutional investors, allowing them to reinvest up to 50 per cent of their previous year's debt holdings. The measure will come into effect from 2014, the regulator said on Saturday. With the latest debt raising, the Mukesh Ambani-led oil, gas, petrochemicals and retail giant has raised $4 billion so far this year, with the first two being a $1.5 billion issue in February and another $1 billion issue in May. While a Reliance Industries spokesperson refused to comment, the banks that snapped up the issue could not be reached. Of the $2.5 billion raised by RIL (which still is one of the least leveraged large corporates in the country with less than 0.50% debt-equity ratio) earlier, the proceeds from first issue of $1.5 billion were mopped up by its US subsidiary for its shale gas programme, while the other was meant for its Jamnagar complex expansion. The current funds will also be used to finance its capital expansion programme as planned. The latest unsecured syndicated loan has two maturities. While $1 billion are a six-year US dollar money, the rest $500 million are a 7.25-year money, according to sources, who did not reveal the pricing of the issue. This is the first longest tenor unsecured syndicated debt raised by an Asian issuer this year. The instrument, sold in the North American, European, Asian and Australian markets, was snapped by as many as 28 international and domestic banks with the major ones being State Bank, Bank of America, Bank of Nova Scotia, the ANZ Banking Group, Bank of Tokyo Mitsubishi, Sumitomo Mitsubishi Banking Corp, HSBC Group and RBS, the sources said, adding the i-banking arms of these bankers acted as the merchant bankers to the deal. Among the country's three listed airlines Kingfisher CEO Sanjay Agarwal's pay package was the second highest in the last fiscal ended March 2012, according to the remuneration details provided in their annual reports. The move follows complaints against brokers and other market entities conducting transactions through accounts of their clients without the knowledge of the investor concerned. While the National Stock Exchange will start sending transaction details to mobile phones and email accounts of all retail investors with effect from October 15, the Bombay Stock Exchange will commence sending such SMS and email trade alerts shortly. The market regulator had proposed such a facility to alert investors about trades being conducted in their accounts more than a year ago in August 2011. A: Any gift by an individual member of a "Hindu undivided family" to another family member will be covered under the provisions of Section 64(2) of the Income Tax Act, 1961 and, therefore, the income derived from such gifted funds shall be deemed to arise to such an individual member and not to the family. Q: I am a housewife earning Rs 8,000 to Rs 10,000 from tuitions and also get interest of Rs 12,000 from my bank fixed deposit. I also have an income tax PAN number. Is it necessary for me to file tax returns? A: You would be liable to file tax returns provided your income from tuitions and interest from bank fixed deposits is more than Rs 190,000 per annum if you are not a senior citizen, that is, less than 60 years of age. In case of a senior citizen the limit would be Rs 250,000. These limits are applicable for assessment year 2012-13. For AY2013-14 the respective applicable limits are Rs 200,000 and Rs 250,000. Adi Godrej, president of the Confederation of Indian Industry (CII) and chairman of the Godrej Group, says industry is convinced that the government is serious about economic reforms. In an interview with Sanjeev Sharma, Godrej discusses reviving the investment climate, overcoming political opposition to reforms, the need to fast track project clearances, reduction in interest rates, the recent Supreme Court judgement on allocation of natural resources and the problems in land acquisition. Q: Has the recent reforms push by the government improved sentiment in the industry and investors? A: It has had a tremendous impact on business sentiment as is evident in the market rally that has followed the recent announcement of reforms. Industry is convinced that the government is serious about staying the course on economic reforms. Q: What about the political opposition to reforms? A: The political opposition will have to be overcome, as all parties must realize the need for these reforms. CII has been talking to various political parties to build opinion on the importance of economic reforms in reviving the economy. Q: What will it take to revive the investment cycle and how much time? A: A revival in business confidence and a moderation in interest rates are two key ingredients for a revival in the investment cycle. The slowdown in clearance of projects due to various hurdles such as delays in availability of land and environmental clearances has had an adverse impact on investment sentiment and needs to be addressed. The move towards fiscal consolidation has had a moderating impact on interest rates but more needs to be done. In particular, the RBI must reduce interest rates decisively in order to send a strong signal towards a recovery in investments. Q: What are some of the new reforms measures badly needed for industry? A: Industry is keen to see further reforms that will lead to a recovery in the infrastructure sector. These could include creation of an infrastructure fund and setting up of a national investment board that would monitor infrastructure projects, as proposed by the government. In fact, industry believes it is possible to take forward measures to improve the investment climate even without legislative changes that could be blocked by the opposition. Q: What can be done to tackle the problems on land acquisition? A: Industry is of the view that land acquisition by industry should be facilitated by the government, as planned industrialization is essential for job creation and inclusive growth. Industry is not opposed to adequate compensation to project affected persons but is concerned that the provisions of the current Bill will lead to a huge escalation in cost for industry. CII has also recommended digitization of land records by State governments and the availability of these records online. This would make the whole process more transparent and prevent misuse. Q: How do you look at the Supreme Court judgement on allocation of natural resources? A: The Supreme Court judgement reflects CII’s views that auction need not be the only mode of allocation of natural resources, though it is a well-established route and as such, may be the preferred route in many cases, where commercial imperatives are high. I believe that the principles of transparency and fairness are paramount in the allocation of natural resources and these should not be compromised. Whether you are pursuing a dream job abroad and at some point wish to settle back in India post retirement, or if you have ageing parents living on their own in India and are dependent on you for financial support, it is prudent to take calibrated financial decisions, especially at a time when uncertain economic conditions are prevailing in the more developed countries. It is also imperative to provide for long term security and achieve financial goals for you and your dependents. India is one of the fastest growing economies in the world and various economic estimates and research reports peg India's growth around 6 to 7 per cent annually. This is significantly higher as compared to other economies in the developed world where there is either nominal or no growth. This makes India an attractive investment destination for nonresident Indians. Also, given the prevailing interest rate regime in India, an NRI will earn a lot more on his bank deposits in India as compared to his country of residence. This also makes a compelling argument for the NRI to park his money in bank deposits in India. 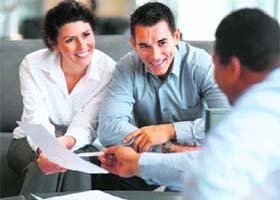 An NRI has various options to choose from when he/she is structuring his financial plan. There is no one-size-fits-all investment strategy that can be prescribed for an NRI as such and an ideal financial plan should have an optimum mix of various asset classes. However, we would like to lay stress on the role of insurance as an asset class for an NRI in meeting his and his family's financial goals. Life insurance products can help to address an array of financial needs and goals of an NRI as they can be customized for specific purposes. To take an illustration, Ashok is 40-year-old NRI based in London working as a senior project manager in a software company. He has two children aged 5 and 9 years old, and his wife Asha is a homemaker. His parents are retired and live in Poona. They have no source of income and rely on their son Ashok for their regular expenses. Ashok can build a portfolio of insurance products that can help address his following important financial goals. 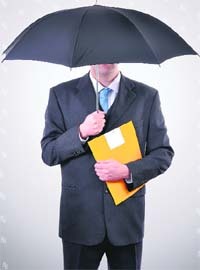 Ashok has five dependents and therefore it is crucial that he is adequately covered. Pure term insurance plans are ideal for this purpose. Currently, online terms plans that are available are competitively priced and convenient to purchase. A term insurance plan will ensure that Ashok's family is financially secure and that their financial aspirations are not compromised in case of the unfortunate event of Ashok's demise. Wealth creation over the long term to ensure cash payouts at key educational milestones of his children. Financial security to ensure that the education of the child does not get compromised in case of an eventuality to the bread winner of the family. In case anything happens to Ashok, the investment for his children's future should continue and the children should get the benefits when required. Hence, investing in child plans designed by insurance companies will ensure that the financial plan for the child remains unhindered even in the face of an eventuality to meet cash payouts on key educational milestones. In such plans, upon the death of the parent, the family gets a lump sum amount and the life insurance company pays all future premiums on behalf of the policy holder. Ashok's parents need a guaranteed income to meet their day-to-day expenses. The product that addresses this goal is the immediate annuity plan offered by life insurance companies. Ashok can purchase an Immediate Annuity product which will then generate regular income for his parents in India. Additionally, he has the option of choosing the frequency of the payouts. Upon the death of the last surviving parent, Ashok will get the entire investment amount back which he can repatriate to his country of residence. Long term wealth creation requires Ashok to systematically save and invest in avenues which provide superior long term, risk adjusted returns. As an emerging economy, India has exhibited a robust rate of growth over the recent past and has potential for sustained growth in the future as well. Given this, investing in equities in India would help augment long term wealth creation. Unit linked plans offered by insurance companies provides an opportunity and flexibility to the customer to structure his exposure to the debt and equity markets depending on his/her financial goals and risk taking appetite. These products present an opportunity to the customer to participate in and reap economic rewards of India's growth story. The dual offering of protection and long term wealth creation makes unit linked products an attractive proposition for NRIs. To conclude, life insurance offers an NRI an opportunity to plan for and meet his various long term financial objectives. As an integral component of financial planning, insurance can play a critical role in ensuring the long term financial security of the NRI, his family as well as his dependants who may be residing in India. Traditionally we have been investing the major part of our savings either in bank fixed deposits or post office schemes. This clearly indicates our bias towards safety and security of the principal amount over returns and liquidity when it comes to investment. While investing, most of us do not care whether the accretion on such investments is taxable or not. Even individuals who are in the highest slab of 30 per cent tax rate also follow traditional investment patterns. Other preferred debt instruments are the Public Provident Fund or traditional life insurance plans, but there are some restrictions on investments in PPF and insurance as they are seen as a tax saving avenue. You cannot deposit more than Rs 100,000 in a PPF account under one name in a financial year. The maximum deduction under income tax act is also available up to Rs one lakh for PPF and insurance plans. PPF and insurance plans have their limitations and therefore major chunk of investment goes into bank fixed deposit and postal schemes. Most people investing in these do not bother to evaluate whether the posttax returns from all these avenues would beat inflation or not. Nobody can certainly deny the importance of safety, but one has to always look for and evaluate other options that are equally safe but can help you generate better returns or can offer tax benefits. Naturally it is important to have debt in your overall investment portfolio but it should be limited to a certain percentage of your total assets depending on your age, time horizon of your goal and your risk profile. As a rule of thumb debt must constitute minimum equal to one's age in percentage terms but it is advisable to allocate assets in debt depending on the time horizon of your particular financial goal. After finalizing the debt part you should also look at other alternatives available in the market which can give you better posttax returns compared to bank fixed deposits and which are equally safe. Fixed maturity plans (FMPs) floated by mutual funds are a better alternative for a period of around 13 months to 24 months. Income and monthly income plan (MIP) funds are also better options if the time horizon is two years or more. FMPs and income funds invest 100% in debt products like government securities and corporate bonds, whereas MIP funds invest 15% to 20% in equity and the balance in debt products. These funds not only give higher returns compared to bank fixed deposits but are also tax efficient. Debt funds of mutual funds always give better returns when interest rates fall. A MIP fund gives you the added advantage of investing in equity when the market moves up. The important thing to note is that if these products give higher returns compared to traditional products and are equally safe and more tax efficient, then why are they not popular among the common people. The lack of awareness among the latter is the one of the reason behind this. Most people believe that mutual funds mean equity investment. It is time to create awareness among people and make them understand that mutual funds offer both 100% debt to 100% equity and also hybrid products with a combination of equity and debt. The major reason, I feel, why debt funds are not popular is that they are market related and returns are not guaranteed as also the higher charges levied in debt mutual funds. The higher charge of around 2% per annum year-on-year reduces the overall returns. The Securities & Exchange Board of India's recent announcement will increase the total expense ratio by another 45 to 50 bps and reduces debt returns further. Is this hike justified in debt products as the returns normally do not touch double digits. The commission paid to distributors is also high in debt products compared to equity schemes. Looking at all these facts SEBI must reconsider the hike in charges for debt products and should instead reduce them for debt funds to make debt products more popular amongst the common investor.